Funeral services will be conducted Sunday afternoon, September 20, 2015 at 3:30 p.m. from the Chapel of the Taylor Funeral Home with Pastor Gary Riley officiating. Place of rest will be in the Williams Cemetery in White Bluff,TN. Visitation with her family will be Saturday, September 19th from 2:00 p.m. until 8:00 p.m. and on Sunday beginning at 12 Noon until time of service. Mrs. Lowery, age 95 of Dickson died Thursday, September 17, 2015 at Centennial Medical Center after a brief stay. She was born in Kentucky, daughter of the late George Ashley and Louie Mays. Mrs.Lowery was a quiet, sweet, precious, spirited lady who was so loved by her family and friends. She was an excellent seamstress who made clothing for her daughters and used her ability to make clothing in the clothing industry for a living. She enjoyed shopping, working puzzles and loved spending time with her loving four legged companion, Zoey. 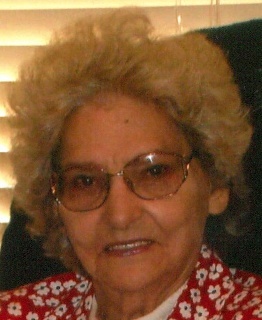 She was a faithful member of the Church of God of Prophecy with over 70 years of service to her church. She was the widow of the late Carrie Burnice Lowery and was preceded in death by a daughter; Betty Morgan. Survivors include her daughter; Maxine Cason of Dickson,TN, her four grandchildren; Wanda Davidson, Ronda Allen, Beverly Underwood and Dewayne Morgan, her 7 great grandchildren and her 4 great great grandchildren, her sister; Marie Callis of Knoxville,TN, her half brother; John Mays of Dickson,TN and her two step sisters; Mary Lois Bales of Mt. Juliet,TN and Jewel Kelley of Waynesboro,TN.